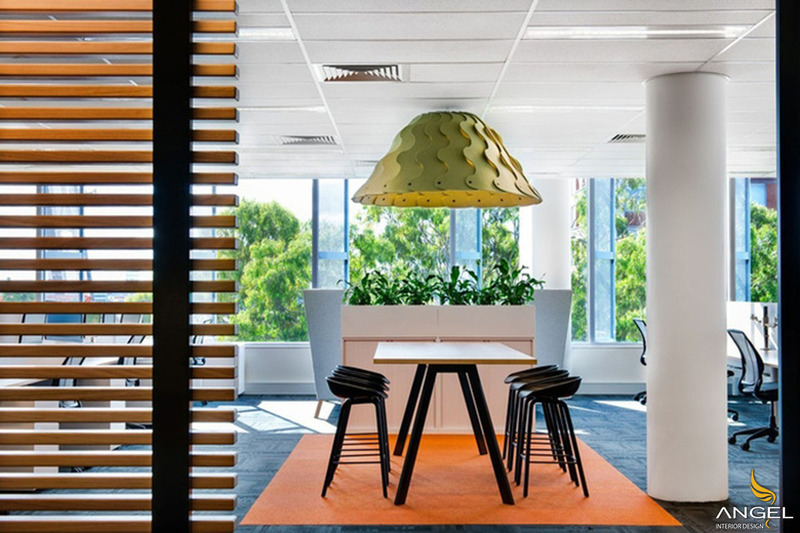 Perfect office interior design with warm colors A new workplace for an interior design firm to bring the entire 'family' work together to communicate and collaborate. The new place brings the family together under one roof in quiet, professional space. 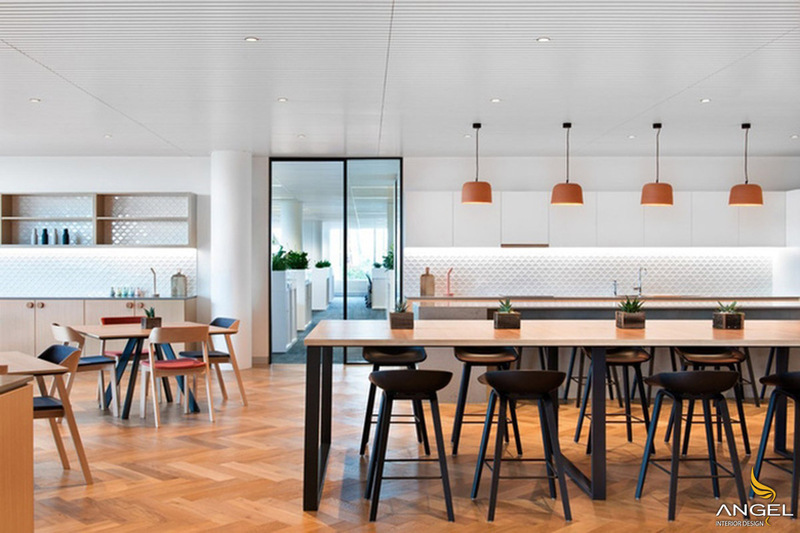 With an intimate atmosphere where employees can exchange, eat together, study together, and ultimately collaborate to continue to provide innovative solutions to their clients. 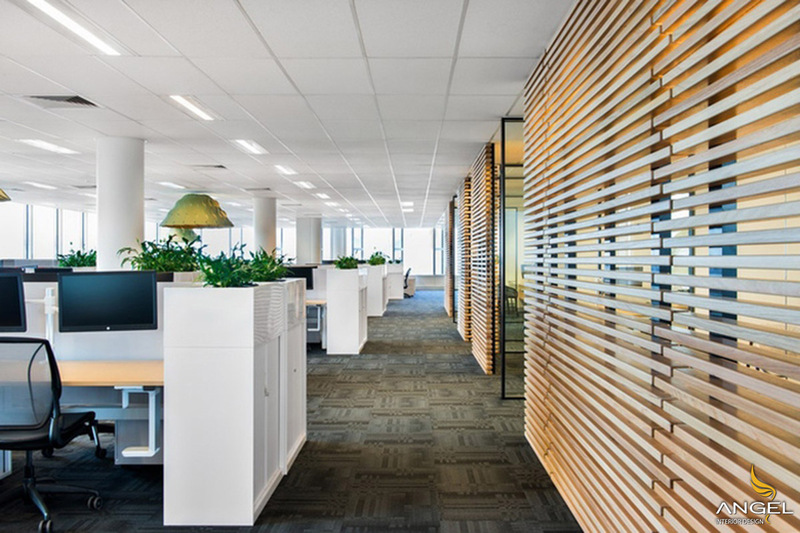 The new workplace extends 2,300m with staff numbers up to 140. 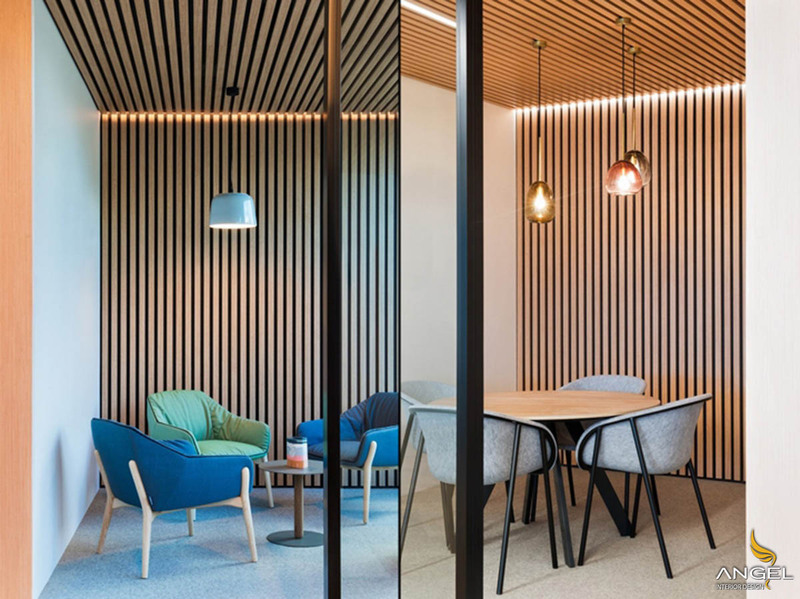 The workplace is designed so that it feels like home, with plenty of spacious and informal spaces that encourage a workplace and comfortable space. An important element in creating this interior design is the materials chosen. The selection of materials is less about aesthetics and more about creating an experience that fits the goals of the project. 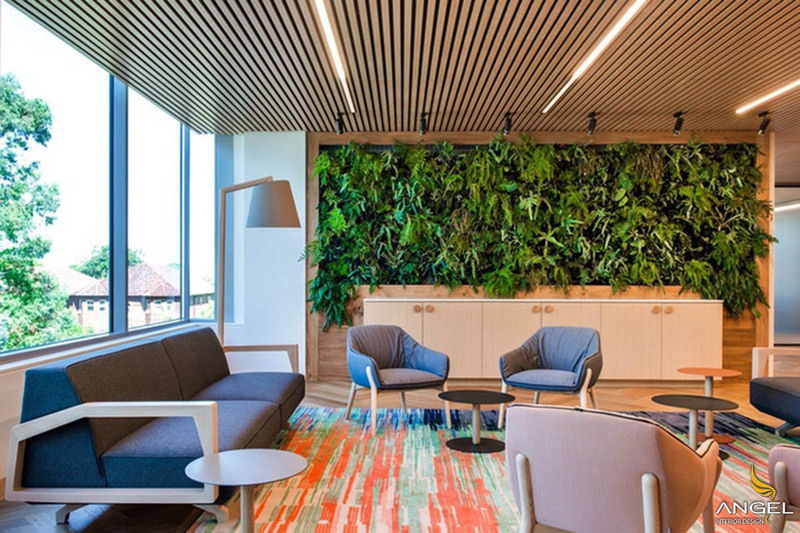 Textile yarns, raw wood, metal latex and natural materials have been used to reflect the company's core activities in construction. 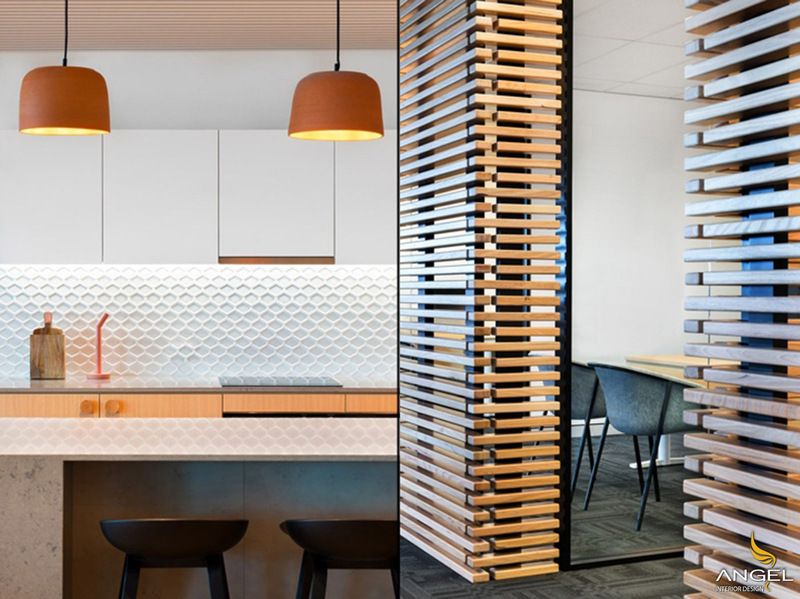 The colors we use continue to show the truth of the company with references to cement, terracotta, steel and timber. The harmonious combination brings the life of nature to the interior design space is too great for the handsome style is.